Students of all ages make numerous choices throughout each day. At school, they choose colors they want to color with, shapes they want to draw, foods they want to eat for lunch and the list goes on and on. When working with students with disabilities, we have to remember that choice making is important for them too. Some of them may not be able to verbally speak their choices, but there are other ways they can make a choice. One way students can make choices is via picture cards. Some students who are nonverbal and/or have speech delays use a PECS (Picture Exchange Communication System) throughout every day. These students either touch or pull off a picture of an item in order to make a choice. Many other students use eye gaze and voice output devices to make choices. 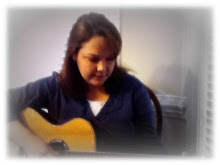 I like to incorporate choice making within my music therapy sessions whenever possible. One song that is particularly easy to do this with is "The Wheels on the Bus". This is a very familiar song to many students. I like to sing the song from the beginning to get the group started. Then, I have picture cards representing each verse from the song that the students can select. We sing about the wheels on the bus first and then then I ask, "What happens next?" A student then selects a picture and we sing that verse next. While I sing each verse and play guitar, the teachers and assistants reinforce each verse with the hand signals for each verse. The students love being the "boss" and telling us what to sing about next! I use this page when I sing the beginning of the song and to attach each picture to the velcro at the bottom (I start with the picture of the black tire you see in the picture below). You can also put two pictures on the velcro at the bottom as a choice board and ask, "What comes next?" I put velcro on the back of the song board and store all the pictures here on the back. Some students I work with can make a choice from a field of eight pictures and some of the students need fewer choices. I use the front of the board when they need a smaller field of choices. Overall this simple song board helps students who are visual learners tremendously. For the pictures, I selected random google images I found online. For copyright purposes, I never sell or distribute these images. I only use them for educational purposes. How do you incorporate choice making within your sessions? Thanks for stopping by and stay tuned for additional blog posts soon! Happy Fall and a song post!